The ability to communicate effectively is one of the most critical skills that a dental assistant can cultivate. The core of any dental practice is made up of several groups, patients, dentists, hygienists and administrative staff. As a dental assistant, it is your responsibility to learn how to interact, and communicate with, all of these groups as part of your day-to-day job. Clear And Efficient Communication Communicating with patients - As a dental assistant, the most important group of individuals you will be communicating with are the patients at your dental practice. As the face of your practice, you’ll often..
What To Look For In A Healthcare Employer? Part of finding the perfect healthcare job is ensuring you have the skills and qualifications that make you stand out from the crowd. Just as important as that is doing your research on potential employers and to make sure they match the values you look for in a healthcare provider. 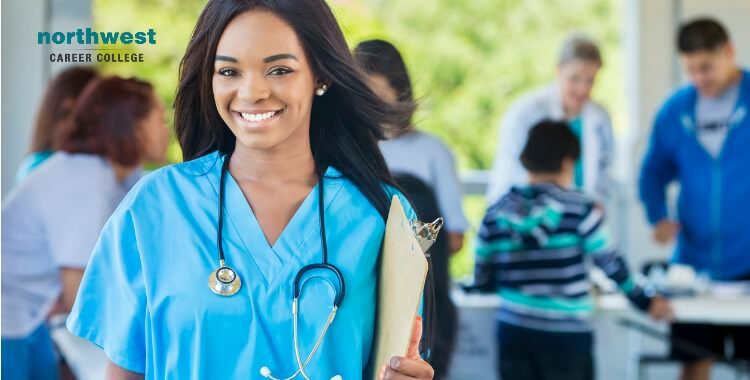 Courses like the one offered by the Medical Administrative Assistant School here at Northwest Career College will give you the skills you need, but you’ll need to do a little research of your own to find you perfect employer. What to Look For The size of the organization - The..